Nothing says summer quite like a pineapple – the shape, the taste and the smell all epitomize all things sunny and tropical. Where do Easter eggs come into this equation you ask? Well have you ever noticed how much a yellow Eater egg looks like a pineapple? I have. 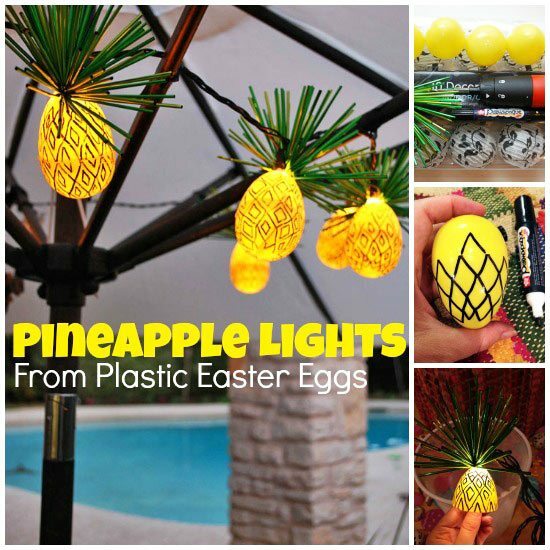 That’s why I decided to recycle a batch of plastic yellow Easter eggs into a set of DIY pineapple string lights. 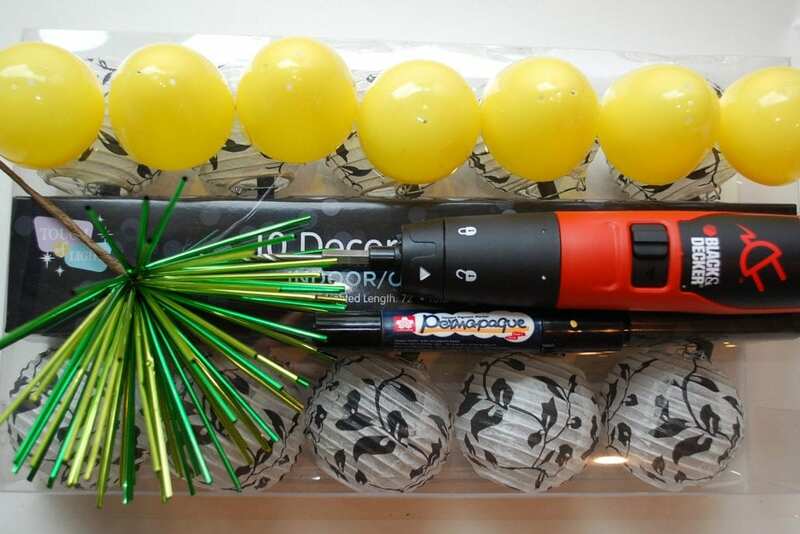 What do you do with all those plastic eggs after the Easter bunny has made his exit? Mine seem to accumulate in my yard, making me crazy. 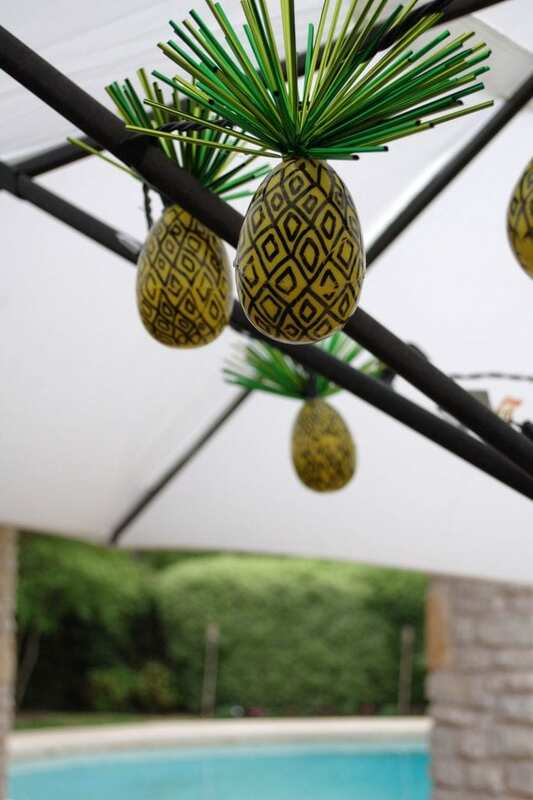 I have painted them with puffy paint, used them as dinosaur egg molds, and filled them cinnamon to make a DIY sensory toy—and this year, I converted some yellow eggs into pineapples. 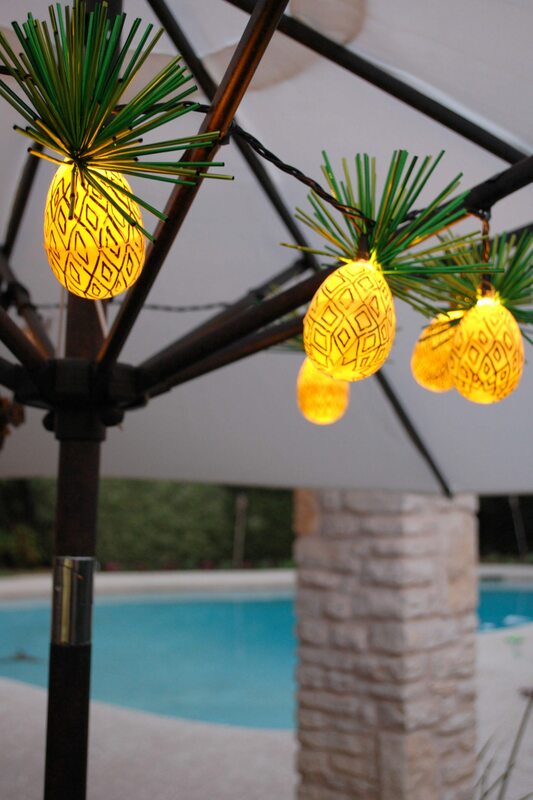 Light-up pineapples, to be exact, and they are pretty rad, if I do say so myself. 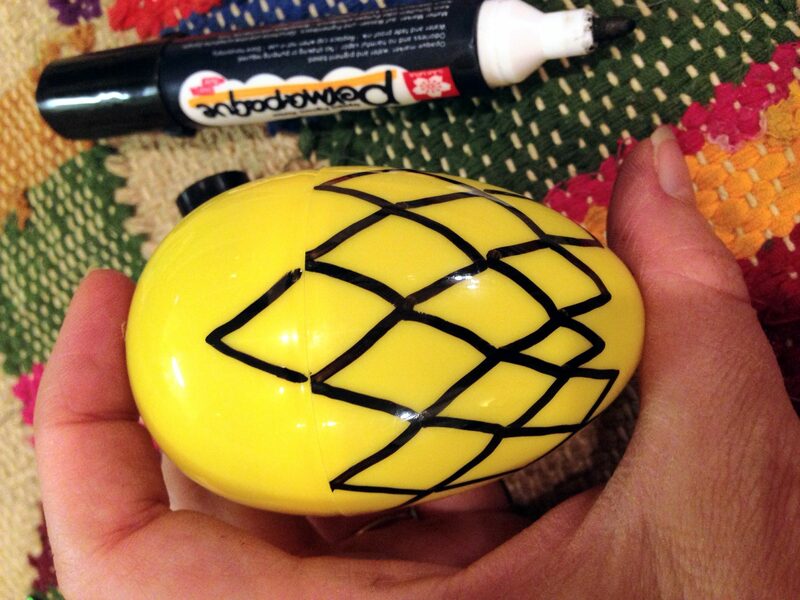 To ‘pineapple-a-fy’ your eggs first turn your plastic eggs into pineapples by drawing triangles on them. Starting along the edge of one half of the egg. Make the next row by connecting two sides of the triangles to the bottom two points below. 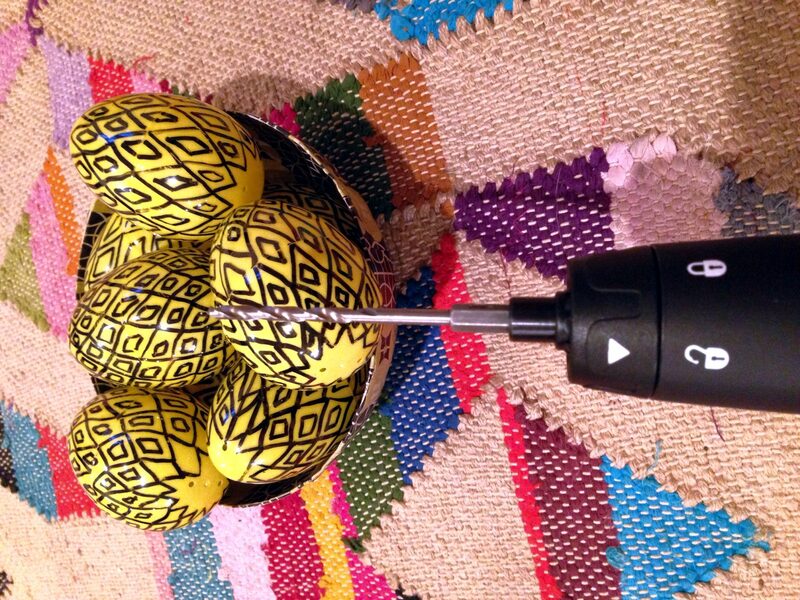 After you have one half of the egg decorated, put the other half of your egg on and do the other side, matching up your pattern. The “pointy” side of your egg will be the top of your pineapple, so be sure your triangles point that way. Add diamond shapes if you want. Using either a drill or an awl, make two holes in the “pointy side” of your egg. I made the holes after I drew on the eggs, but in retrospect, it might be better to make your holes before you decorate them—the less handling of the eggs, the better, because even permanent marker can rub off. Make sure your two holes are large enough for a string light and a floral pick. The green leaves at the top of the pineapple are known as the crown. I used a floral pick from Hobby Lobby as my crown. You could also make your own using some sort of weather-resistant green plastic (maybe an office folder). Put your pick through one of the holes and close your egg, sealing the crown with a bit of hot glue. My string lights came with small lanterns, which I removed and saved for another project. 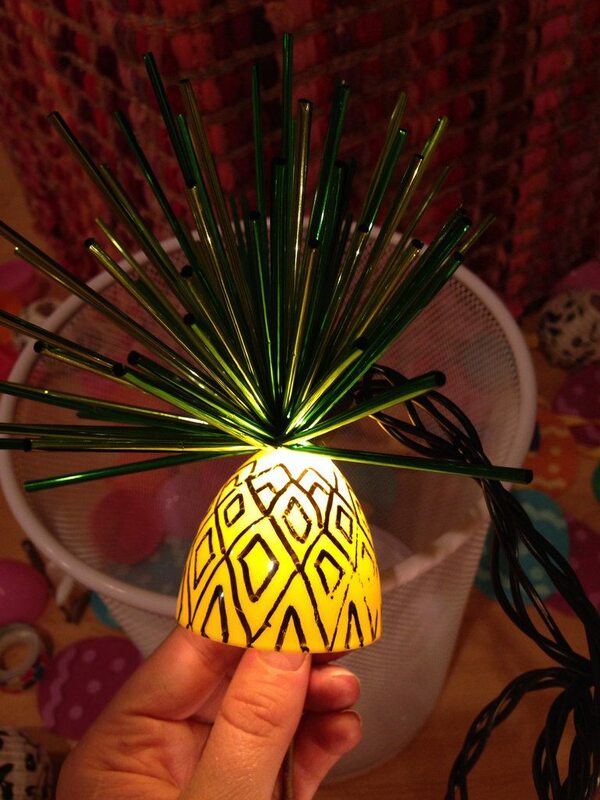 Once I had naked lights, I inserted one into each pineapple egg, adding a bit of hot glue around the top to hold the light in place. I strung my lights underneath my outdoor table umbrella. 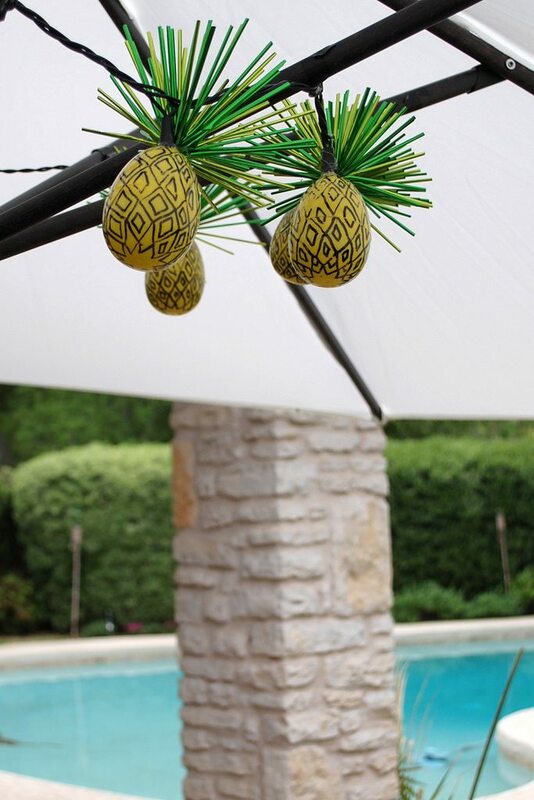 I can’t wait to take a dip in my pool, then come sit under my pineapple lights one warm night this summer, sipping a piña colada. Be sure to keep an eye on your lights, and unplug them when not in use. I have low-temperature lights; that’s important. Be sure yours are low-temperature, too, so they do not melt your eggs. The instructions on my lights also said not to use them for longer than an hour at a time. I love my new lights! This might be my favorite non-Easter Easter craft of all time. I have seen red and pink eggs made into strawberries—I’m now thinking about green egg limes and yellow egg lemons. 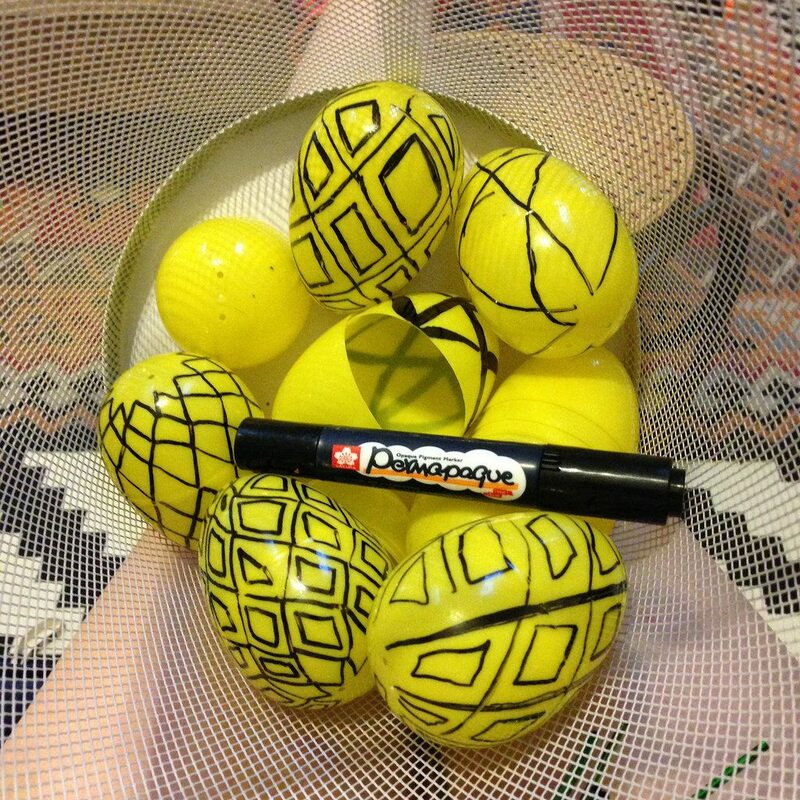 By the time my marker and I get done, I will have a whole fruit bowl filled with plastic eggs. Want more fruity ideas? Keep reading! 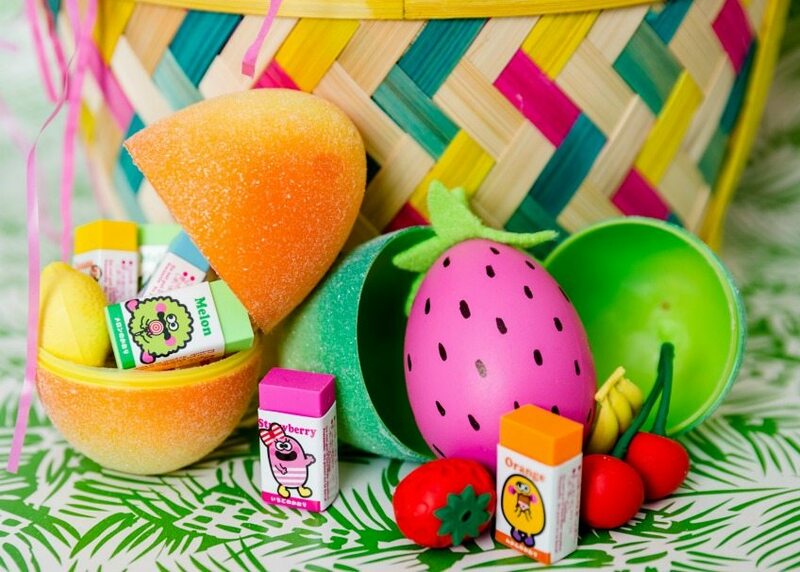 Strawberry Easter Eggs – If you can turn yellow eggs into pineapples it only makes sense that you can turn pink and red eggs into strawberries! 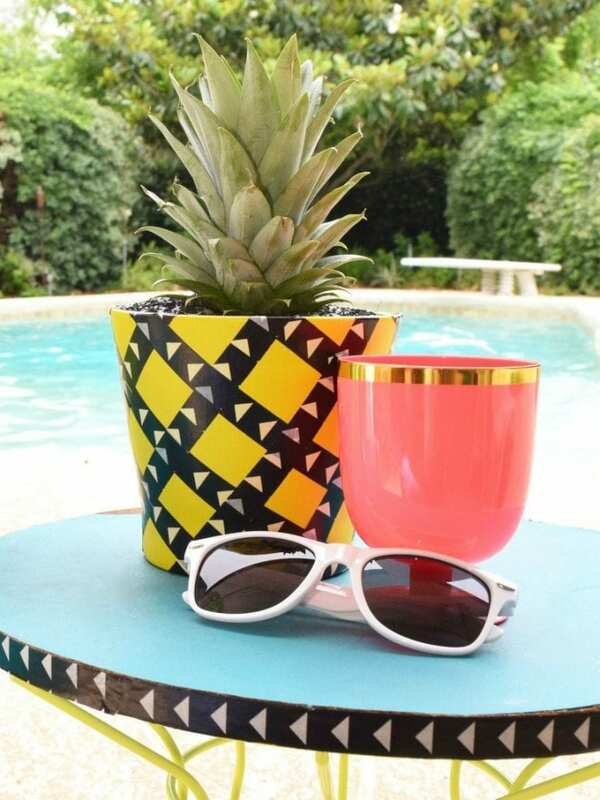 How to Grow a Pineapple – Not just that, how to make an adorable matching washi tape pineapple pot to plant it in! 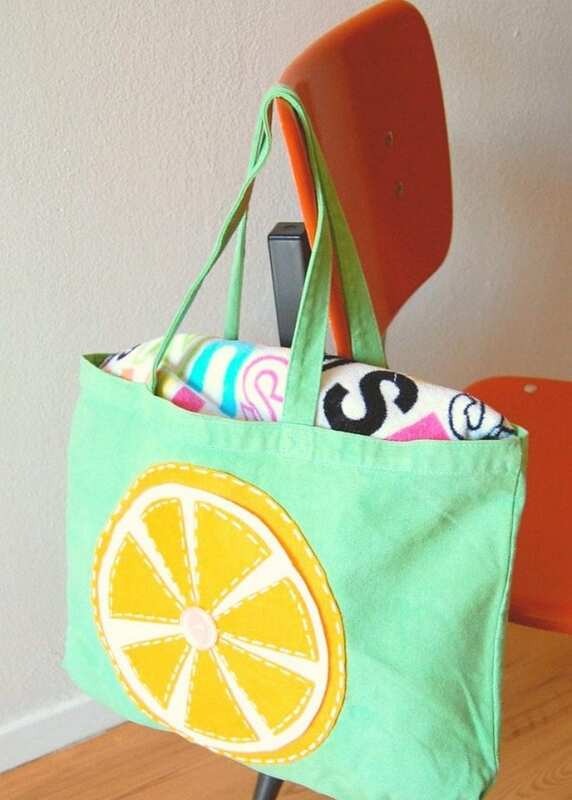 Citrus Slice Tote Bags – Complete with faux Puffy Paint stitches add a felt citrus slice to a ready made tote bag for some summer vibes. 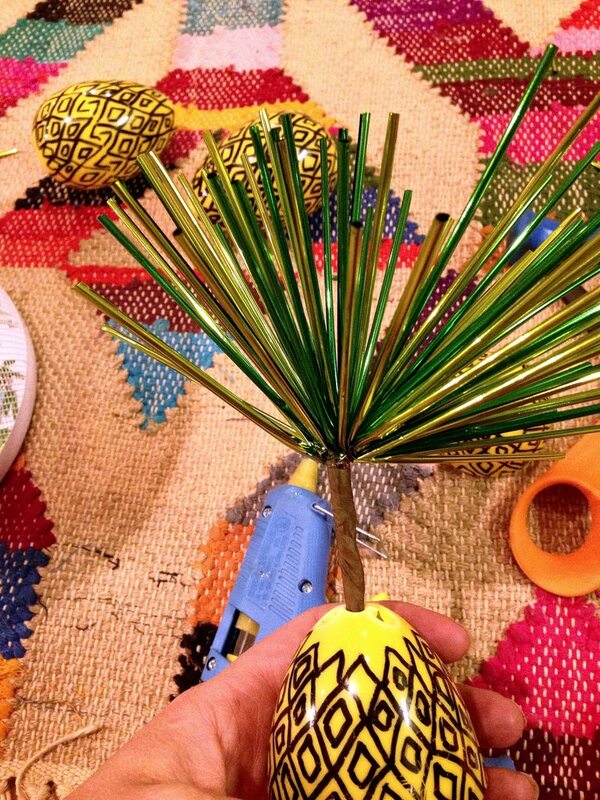 Posted June 9, 2014 & filed under Crafts, Easter, Holidays, Home Décor Crafts, Plant Crafts, Recycled Crafts, Uncategorized.